AFTER months of speculation the six marathoners who will represent Ireland in the classic 26.2 mile distance at the Rio Olympics in August have been named. Raheny Shamrock’s Mick Clohisey together with Belfast’s Kevin Seaward and Paul Pollock from County Down will make up the men’s team while 36 year old mother of one, Lizzie Lee from Cork will be joined on the women’s team by Breege Connolly – a Leitrim native who runs with North Belfast AC – and Fionnuala McCormack, formerly Britton, from Wicklow. All six will be making their Olympics debut in the marathon, though this will be a third Olympics for former European cross country champion, McCormack. She competed in the 3,000m steeplechase at the Beijing Olympics and in the 10,000m at the London Games four years ago. While the five-member selection committee opted for the three women who had run the fastest three marathons in the 17 month qualification period they opted for a different criterion – as they were entitled too – when it came to the men’s team. As a result the announcement brought bitter disappointment to Sergiu Ciobanu, who has indicated that he plans to appeal the decision, though it is difficult to imagine the decision being overturned. The only consolation for the Moldovan born runner who came to Ireland ten years ago and was cleared to run for his adapted country last summer, is that he is named as first reserve. Seaward was the fastest qualifier having posted a time of 2:14.52 at the Berlin marathon last September. 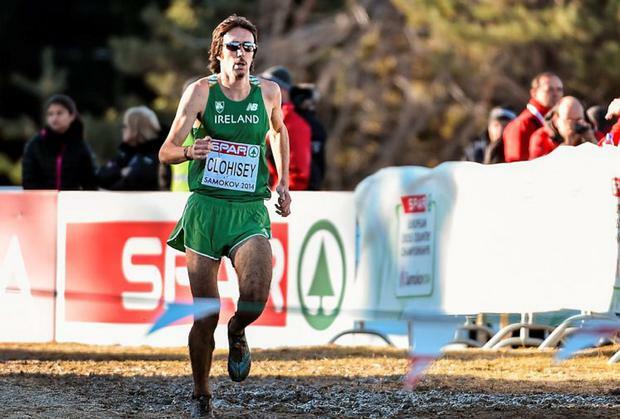 Clohisey was second quickest with a 2:15.10 from the Seville marathon in February while Ciobanu was third in line having run 2:15.14 in Berlin which was 24 seconds faster than the time posted by Pollock in the same race. But the selectors had the option of looking at other performances and this is where the scales tipped in favour of Pollock, who has taken a career break from medicine in order to concentrate fully on athletes. He finished a magnificent 14th in the World half marathon championships in Cardiff in March, two minutes and 37 seconds ahead of Seward, and three minutes and 44 seconds ahead of Ciobanu. He was 21st in the World championship marathon in Moscow. Pollock was due to run in the recent London marathon but had to withdraw due to a foot injury but his previous performance was sufficient to give him the nod over the luckless Ciobanu. Athletics Ireland also confirmed the three man walking team for the 50km Alex Wright, Brendan Boyce and Rob Heffernan, the belated bronze medallist from London, who will make history in Brazil when he becomes the first Irish athlete from any sport to compete in five summer Olympics.